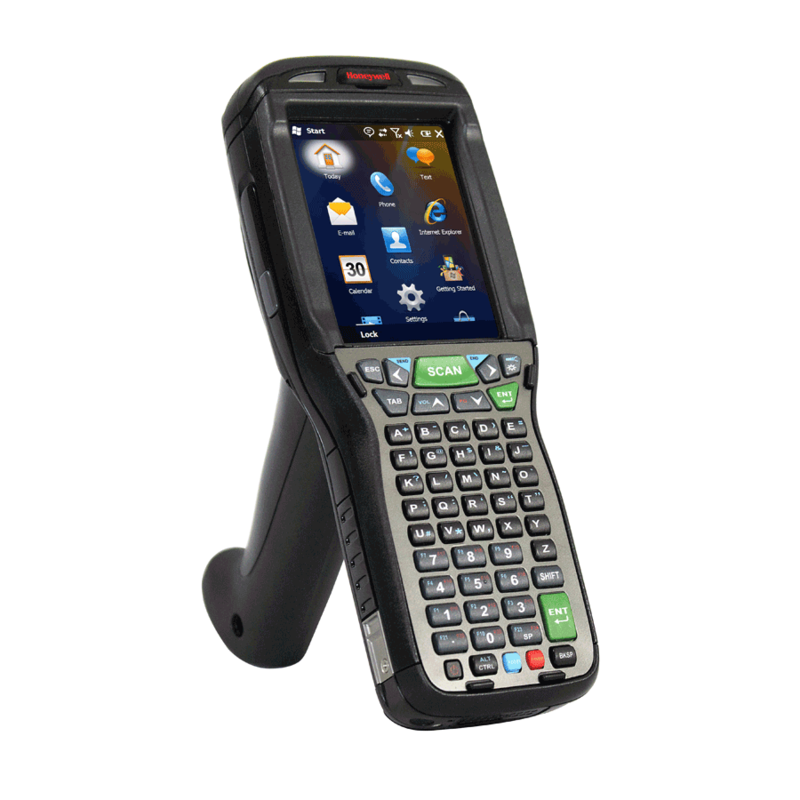 Purpose-built for transportation and logistics applications, the Honeywell Dolphin™ 99GX mobile computer with an integrated handle provides user-friendly ergonomics, cutting-edge wireless technology, multi-functional data capture and extreme durability for frontline workers operating in a variety of locations ranging from loading docks to retail. The reliable and intuitive Dolphin 99GX mobile computer delivers an outstanding feature set that enables improved productivity for mobile workers. Integrated Shift-PLUS™ technology provides all-day battery life, minimizing the time and expense incurred when batteries need to be charged or replaced. The Dolphin 99GX mobile computer is IP64-rated and can withstand multiple 1.8 meter (6 feet) drops to concrete, ensuring years of trouble-free operation. Incorporates an IP64-rated design that withstands multiple 1.8 meter (6 feet) drops to concrete and 2,000 1 meter tumbles, resulting in a lower total cost of ownership for enterprises. Enables multi-functional data capture by providing fast scanning of linear and 2D barcodes with excellent motion tolerance, as well as seamless image capture. Delivers full wireless coverage for applications inside and outside of the four walls, allowing real-time access to critical data. Comprehensive, hassle-free protection on the device investment – for up to five years after purchase extends the product life expectancy beyond the norm for consumergrade devices.